When people visit Newport Cove, a planned community on the Chain O’Lakes, they experience first-hand a coastal living aesthetic inspired by housing along the coast of Maine and the outer banks of North Carolina. They also learn about the rules for living here. The required coastal-style architecture at Newport Cove features gables, large porches, cupolas and an abundance of windows. 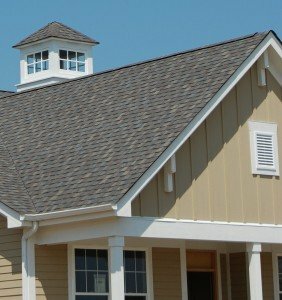 All exteriors must be sheathed in siding (lap or shingles) and stone, no brick. The windows and trim are white. The mailboxes and lampposts don’t deviate from one another. No ancillary structures or property line fences are allowed. By design, these rules make sense. This is a place for people who appreciate style, care about safety and respect their neighbors. The rules apply to the common areas of the community as well. The lakefront park, gazebo, walking paths and marina are reserved for the use of residents and their guests. The only vehicles allowed in these areas are golf carts navigated by licensed drivers. Plants, natural grasses and landscaping materials conform to the specifications of Lake County and the community’s Architectural Review Committee. At the private marina, boat slips come in a variety of sizes to accommodate different watercraft. Boatlifts are consistently one style, the canopies all royal blue. And boats cannot be launched from the property. Everyone who builds a house here becomes a member of the Newport Cove Property Owners Association and will have a say about the rules. To see the results of well thought-out rules or to learn more about why rules matter at the Newport Cove planned community, visit the models any Saturday or Sunday from noon to 4:30 p.m. or call 847.726.2727. ← Wine and Dogs and Mom and Dad. . . I am so sorry it has taken so long to respond to your question. Our website has been a victim of a computer scam, and we are just now getting things back from the great who-knows-where. We have the following lots available on the water: 2, 3, 5, 6, 7, 8, 10, 11, 12, 13, 14, 18 and 19. If one is to build on the water, the minimum price would be in teh $600,000s. We can build a cottage-style house. We would like to expand it a bit. The minimum square footage on the water is 2,500. However, if one has a ranch or Cape Cod style (in other words, somethine with a substantial footprint), I can be somewhat flexible there. Please call me at your convenience if you have further questions. My cell phone is 847.772.2772.